At Revampd Hair Studio, our dedicated team are passionate about helping our clients achieve their own unique look. 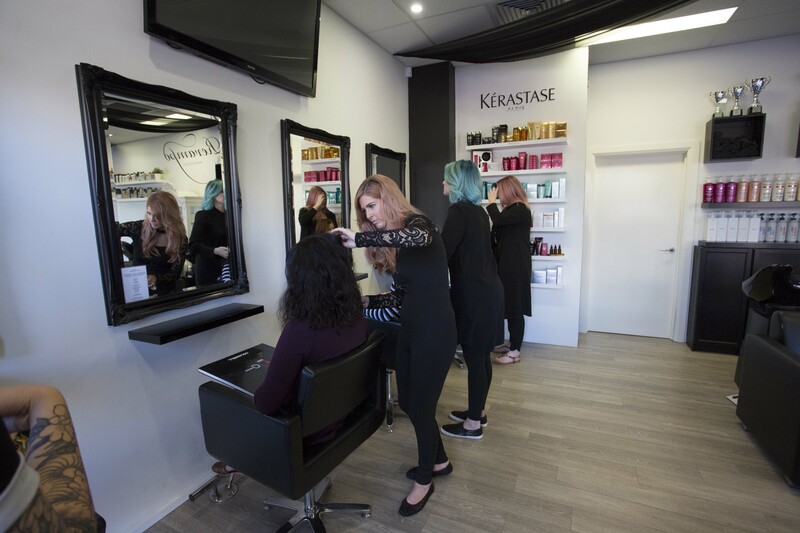 We want our guests to leave our salon looking and feeling fabulous. From cuts to colours, we’re dedicated to creating hairstyles that perfectly complement your signature style. Revampd is about more than just great hair. We love what we do, and we want our clients to enjoy their whole experience with us. We always ensure our customers receive first-class service and the highest quality products, guaranteeing an experience that falls nothing short of amazing. Here at Revampd, we pride ourselves on our constant commitment to education, innovation and competitions. This is how we deliver the latest trends, techniques and products to you, our guest. We want to make your experience at Revampd a memorable one. This is why we like to treat our clients to the following complimentary services to make them feel right at home whilst being a guest in salon: Fresh Espresso coffee, a selection of herbal tea’s, champagne, international magazines and free WIFI access. Revampd Hair Studio is an accredited AHC Gold Salon Select salon for commitment to good business ethics, sound business practices, high quality client serviced, training, fair employment practices and sustainability of the environment. We recycle all our old foil so it can be processed and reused. EasyDry biodegradable towels that help conserve water and energy. Eco Heads on our basin taps which purify pollutants and save up to 40% water. We used recycled paper for printing. We recycle everything we can, from paper to coffee pods. Find us at 3/27 Davidson Terrace, Joondalup WA 6027.